A spark of inspiration can help you see solutions you may have otherwise missed. But when you’re staring at the blank canvas of a bare window, it can be difficult to imagine the perfect blinds, shades, or shutters to transform your ordinary room into an extraordinary space. At Knoxville Blinds and Shutters, our experienced pros have a keen eye for design and will help you choose an elegant window treatment that complements your décor and enhances your space. In this article, we share a few of our modern window treatment ideas to inspire your grand designs. At Knox Blinds, we know it’s not easy to select the right window treatments based nothing but a picture, so our crew will visit your home or business for free and bring samples of our high-quality products to help you choose a set of blinds, shades, or shutters that best suit your indoor space. Contact us today at 865-544-8339 to schedule your free consultation. Plantation shutters are a timeless window treatment that will inject elegance and sophistication into any space. Designed to endure for generations to come, a high-quality set of plantation shutters will add value, character, and style to your home or business. 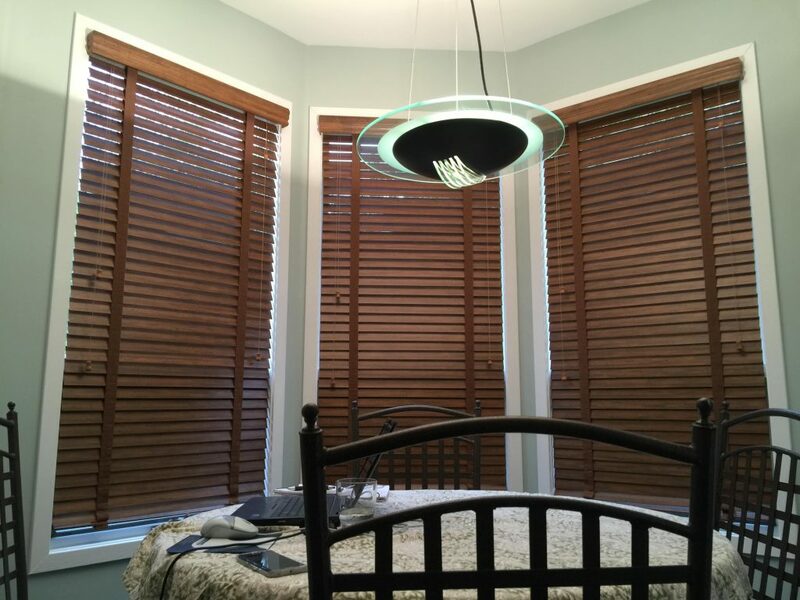 While roller shades were once the default window treatments of cheap motels and dingy dorm rooms, this simple light control solution has made a stylish comeback in recent years. Available in near-infinite combinations of materials, styles, and colors, roller shades can be customized to reflect your personal sense of style. These sleek shades are a favorite among homeowners looking to enhance their modern, minimalist spaces. Constructed from hard-wearing fabrics, cellular shades are made up of a repeating pattern of cells designed to trap air and insulate your home against the cold or warm air outside. Feeling inspired? At Knoxville Blinds and Shutters, we combine your vision and imagination with our knowledge and expertise to find the perfect set of blinds, shades, or shutters for your space. Call 865-544-8339 to speak to one of our window treatment specialists today.